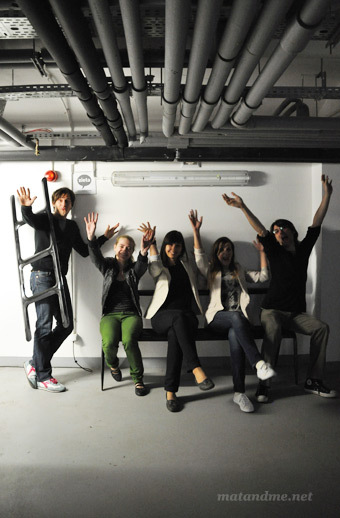 From l. to r.: Oscar Zieta, Kinga Wawrzyniak (Sales), Ania Makowska (Supporting Art Director) , Ania Dudek (Art Director), Lukas Krupinski (PR) sitting on a black ‘Unterdruck Bench’. Maja Zieta (Oscar’s sister) and Przemek Jordan are unfortunately missing on the picture. 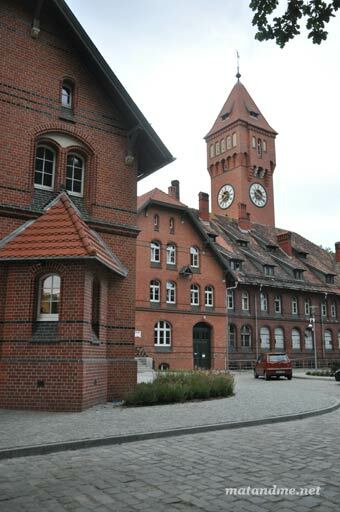 Both were busy in the factory in Zielona Góra that day. 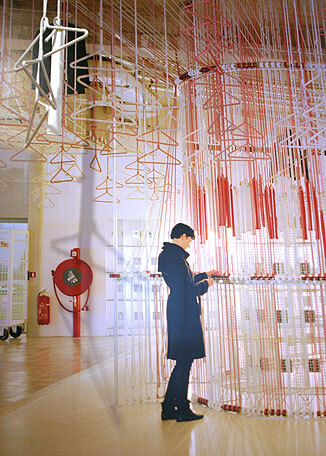 Oskar Zieta is the founder of Zieta, a Poland-based company that focuses on advanced technologies. Oskar developed FIDU, ‘Free Inner Pressure Deformation,’ with support of Philipp Dohmen and professor Ludger Hovestadt at the CAAD (Computer Aided Architectural Design) department at the ETH Zurich in 2002. Since then he has made a series of experiments in order to apply bending properties of steel sheets in various fields as furniture, construction and future thinking development. 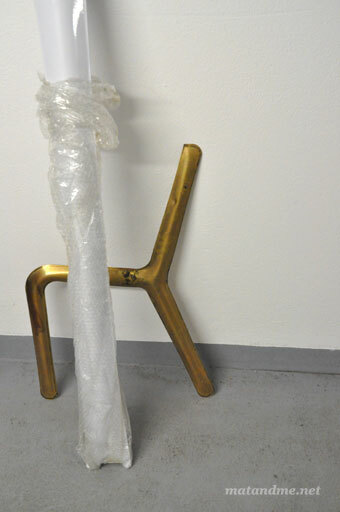 One element of the ‘Unterdruck Bench’ made of raw brass. You find Zieta product’s also all over Oskar’s house. 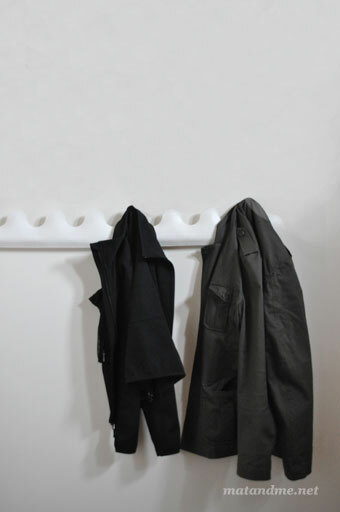 This is ‘Kamm’, a coat hanger that can be purchased in various sizes and colours. 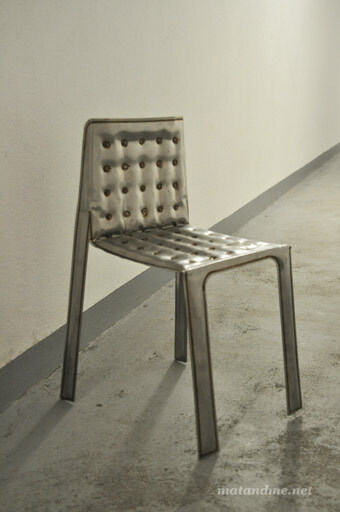 Chippensteel was the first product Oskar made of two sheets of steel that are welded together and that got injected a powerful jet of compressed air between them. He worked on it year’s ago. This is one of the earliest pieces. Recently launched ‘Chippensteel 0.5′, an improved version of the firstling. 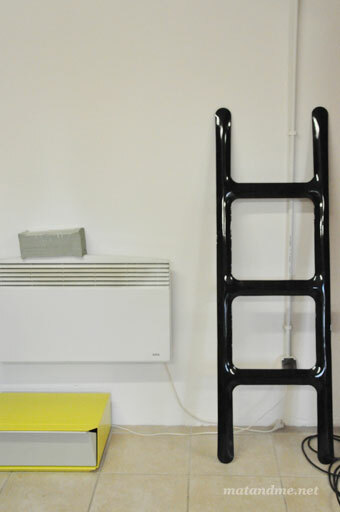 ‘Drab’ looks like a ladder, but its main purpose is a hanger for dressing gowns, wet towels and clothes. The container on the left is a product that Zieta produces in the factory for another company. That’s something they can do right now, because they build up the facilities themselves. 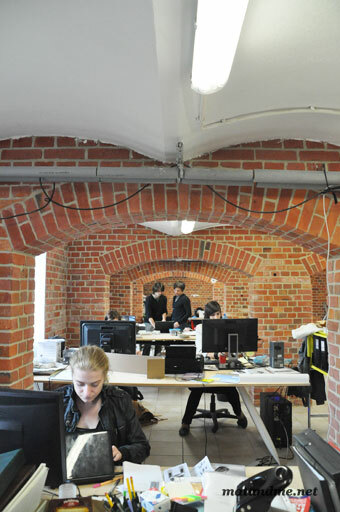 The office is in the basement of the Wrocław Research Centre EIT+. A nicely refurbished area dedicated to scientific-research. See last picture. This is the meeting area of Zieta. 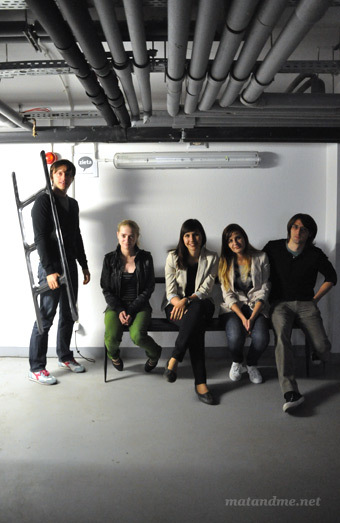 The ‘Plopp’ stool was the breakthrough for the company. They set the standard in innovation and form and won a lot of prizes. In the back you can find a ‘Bone’ and a ‘Rondel’ with a mirror. This entry was posted in design and tagged 'Free Inner Pressure Deformation, audi, bus stop, CAAD, chippensteel 0.5, eth, ETH Zurich, fidu, kamm, Ludger Hovestadt, Lukas Krupinski, oskar zieta, Philipp Dohmen, polish designer, prozessdesign, space design, Unterdruck Bench, wroclaw, zielona gora by Matylda. Bookmark the permalink. What a beautiful office space!